Edward John Ward was born at Darlington, Sydney, on 21 March 1899, the fourth child of a tramway labourer Edward James Ward and his wife Mary Ann, nee Maher. On 27 September 1924, he married Edith Martha May Bishop at St Patrick’s Church, Parramatta. He died on 31 July 1963, survived by his wife, son and daughter. He was given a State funeral and was buried with Catholic rites in Randwick Cemetery. Edward (Eddie) Ward was educated at St Francis de Sales convent school, Cleveland Street School and Crown Street Superior Public School. He left school at 14 and took various casual jobs. At age 16, he joined the Political Labor League. He lost his job at Eveleigh railway workshop for his involvement in the 1917 general strike and worked as a labourer and later as a chainman on the tramways. He became president of the Surry Hills branch of the Australian Labor Party and was an uncompromising supporter of J.T. Lang. A professional boxer and lifetime teetotaller, he was a belligerent and litigious parliamentarian often seen as a rabble-rouser by those within his own party but also regarded as a hero of the working class. Eddie Ward Park at Surry Hills was named in his honour in June 1965. Eddie Ward was elected as a member of the House of Representatives for East Sydney from 7 March until his defeat on 19 December 1931. He was re-elected from 6 February 1932 until 1960. He was the Minister for Labour and National Services, 1941-43 and Minister for Transport and Minister for External Territories, 1943-49. In 1960 he was narrowly defeated by EG Whitlam in the election for deputy ALP leader. He set a record by being suspended from Parliament on 15 occasions. Like Jock Garden, he was a member of Lang Labor and, from 1936, the Australian Labor Party. Ward was Alderman for Flinders Ward, 18 June 1930 to 1 December 1934. He was a member of the Works Committee, 1930-34, the Health and By-Laws Committee, 1930-34 and the Electricity Committee, 1930-32. 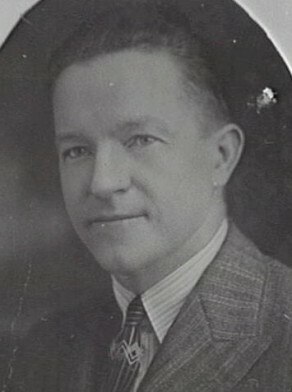 Ross McMullin, ‘Ward, Edward John (Eddie) (1899–1963)’, Australian Dictionary of Biography, National Centre of Biography, Australian National University, http://adb.anu.edu.au/biography/ward-edward-john-eddie-11959/text21435, accessed 23 November 2012.